There are times when you need to subject your electronics to some pretty intense environments. The most challenging part of designing for rough conditions is the problem of how to protect your electrical connections to the outside world. 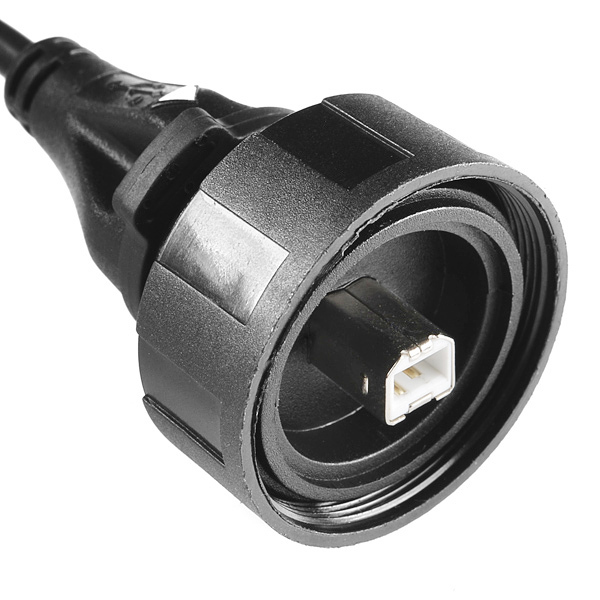 These IP68 rated USB-B cables can help you with that! 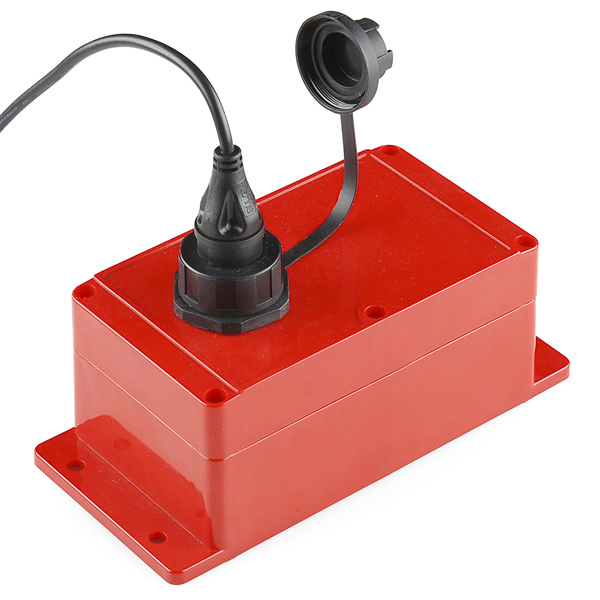 These mate with the weatherproof panel mount USB jacks that we carry to form a dust and watertight connection! These are great for retrieving logged data from an environmental sensor package or uploading new firmware to your all-terrain autonomous vehicle. 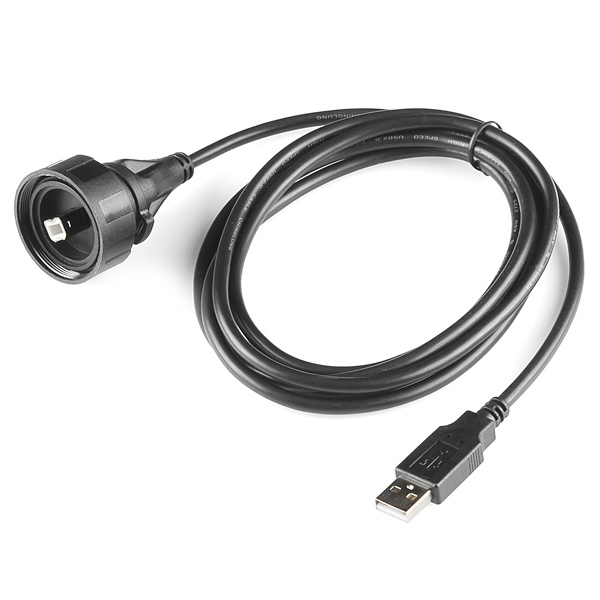 This 2 meter cable has a normal USB-A plug on one end and the sealed, over moulded USB-B assembly at the other.